Jewish weddings are full of unique traditions that are unlike any other culture. One of these many customs is the Ketubah, which is translated into the Hebrew language as “written thing”. This significant item is a special type of prenuptial agreement in the process of Jewish marriage. Written in the Hebrew language, the piece of paper outlines the rights and responsibilities that the groom has in relation to his new bride. Some of the written requirements of the husband include providing clothing, food, and conjugal relations. There are many other statements on this agreement, but in modern practice the Ketubah’s rules are rarely enforced. During the ceremony, it is signed by two witnesses and read out loud under the chuppah. The witnesses cannot be blood related to the couple, so it is often a close friend or member of the bridal party who signs. All of the bride and groom’s closest friends, family, and relatives are invited to witness the reading, which is considered a huge honour. 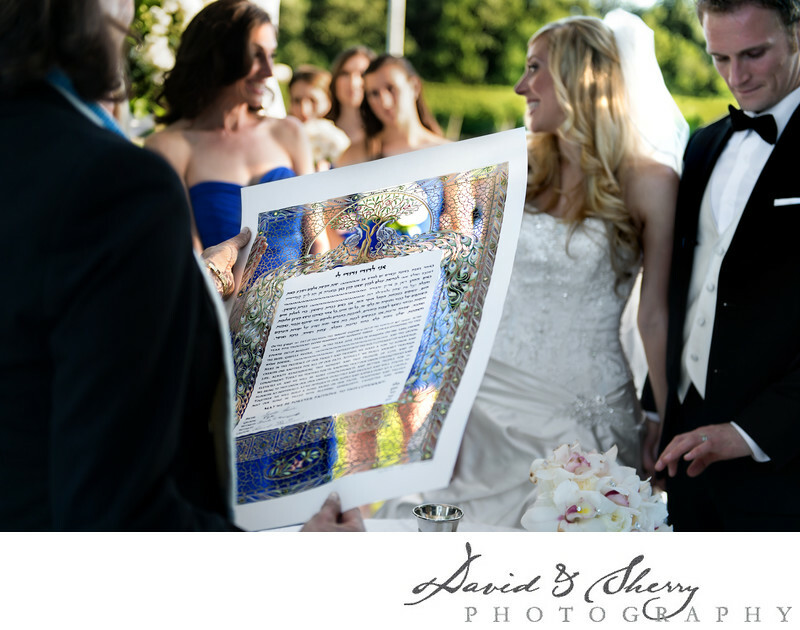 The Ketubah is also a form of art, ranging in appearance and designed uniquely for the bride and groom. Traditionally, the family often has this custom made for the couple. Since Ketubot are often hung in the homes of married couples, the appearance of the paper is always very elegant and tasteful.